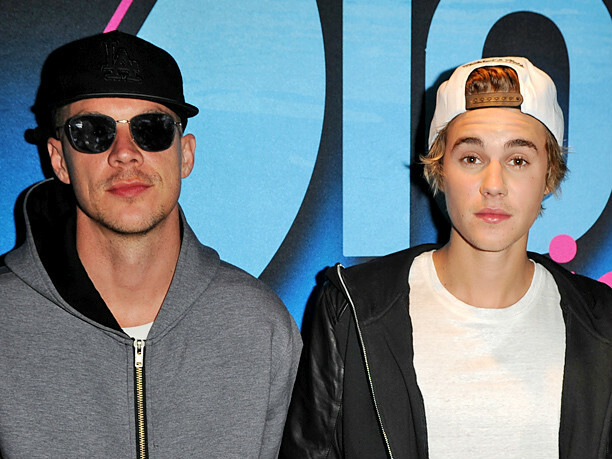 Diplo and Justin Bieber previously collaborated with Skrillex on "Where Are Ü Now". Diplo, Skrillex, and Justin Bieber dominated the radio waves this past summer with "Where Are Ü Now". The song was in the producers ' joint album, Jack Ü, and Bieber Purpose. In a recent interview with the Fuse in the 2016 BRIT Awards, Diplo shared that he has more of a collaboration with the Canadian singer in the vault that could be released very soon. "In reality, we have a crazy track that we never put to him, is like a Rap song, too," he says. "You can see in the summer." Diplo emphasizes the success of Purpose, and says that he was grateful to have gotten Bieber time for a "Where Are Ü Now," which peaked at #8 on the Billboard Hot 100 chart, before the release of the album. "He's very busy," Diplo says of Bieber. "He's going to promote his album for a long time. It is difficult with the artists that big. Luckily, we have a 'Where Are Ü Now" just before his thing started. As this happens, you want the artist to give it your full attention, but he's going to be busy for a while of Purpose, that is a sick album." Justin Bieber was Almost Done In collaboration with Kanye West, "Lightweight Lightning"